Our syntax makes real the words, clauses & phrases invested with a bodily nature and form. Our personified arrangement of them; gives a bodily substance or concrete form to an incarnate spirit that can change our lives, beliefs or practices… if not change our world and the spirit we live in. It is observable that the words we use and believe in take on a form of life or can replicate life itself. Playing the role of a god or a messiah? Plaintiff [believes] or [conscience] dictates an Encoded Syntax Messiah of THEIRS exists within the body of “The Bureau” – “The Agency” – “The Service” to be representative or an emblematic type of taxing redeemer or as a spiritual savior. 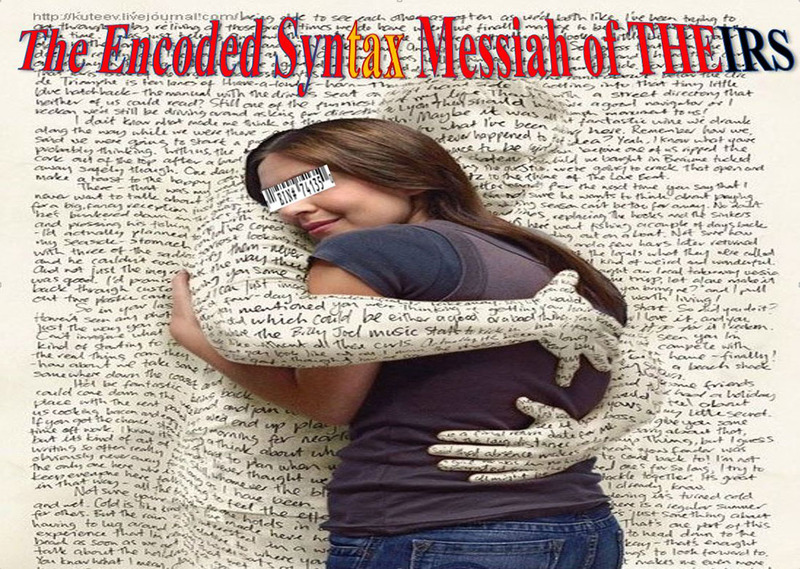 Marked by religious idealism and an aggressive crusading spirit this Messianic State Savior of THEIRS; being of three entities in one body (IRS), is there embodiment of The Incarnate Spirit of [THE CODE]. The encoded soul of this incarnate spirit is found in [THE WORDS] of THE-IRS. Plaintiff [believes] or [conscience] dictates this Messianic State Savior, deified by law respecting an establishment of religion has manifested itself as the great “WHATEVER” (tax write-off for disasters, refunds, deductions, credits). The Incarnate Spirit of [THE CODE] teaches us the religious qualities of heart and soul. This spiritual exercise of THEIRS, is elevated and embodied in a spiritual marriage with any person who practiced [THE CODE] through a poetic license found in [THE WORDS] of THEIRS.